20.28% omfg!!! Over 7 years!!! and the last 3 years are way better than that! Since we all know that the past 3 years' performance is the best indication of future performance, this is a clear buy. And they use fancy industry terms like "Basis Points" and "Sharpe ratio".. clearly they know what they doing! All this for a measly 1% of my money! I'm sold! 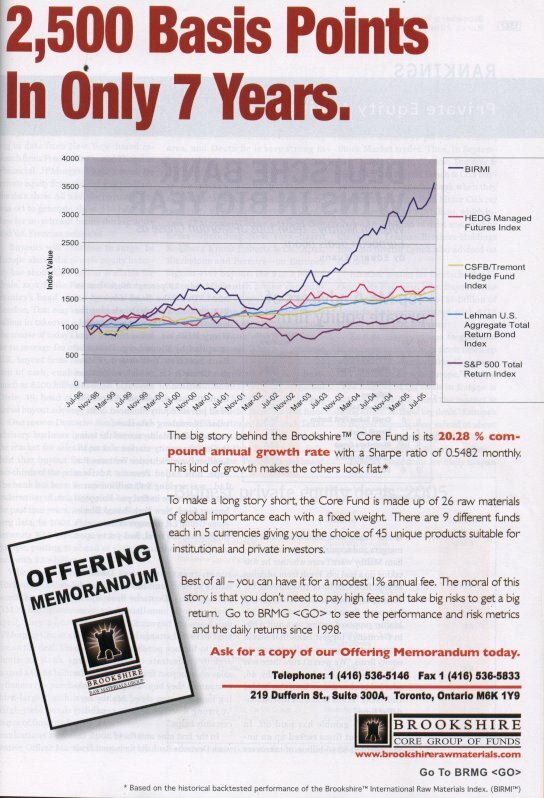 This ad appeared in a magazine for financial professionals. Does that not seem completely insane?